Samsung’s Galaxy Note II is set to launch on every major U.S. wireless carrier, but the company has yet to detail when we’ll finally be able to get our hands on its next phablet. That wait is nearly over. The company sent out invites on Thursday for a press event in New York City on Oct. 24 at 7 p.m. stay tuned for all of the details. Boost Mobile today announced the LG Venice, an Android 4.0 Ice Cream Sandwich smartphone that boasts a 4.3-inch display, 1GHz processor, and the latest user interface from LG. (U.S. Cellular sells the LG Venice as the Splendor.) Features of the Venice include a 5-megapixel main camera with 720p HD video capture and a VGA user-facing camera; LG's QuickMemo app; Wi-Fi, GPS, and stereo Bluetooth; and Corning Gorilla Glass protecting the display. The LG Venice will be available online and in Boost Mobile stores starting October 10, and other retailers by the end of the month. It will cost $219.99, and does not require a contract. Check out Boost Mobile for more details. Google today pushed out a new version of its YouTube application for older Android versions. YouTube for Android 2.2 Froyo and 2.3 Gingerbread adds the pre-caching feature that was made available to Android 4.0 devices earlier this year. Videos can be queued for viewing on compatible TV sets, though an internet connection is required to watch subscription content. The app also adds several new channels to the Channel Store and updates the user interface so that it appears more in line with the current Android 4.0 version of YouTube. The update is a free download from the Google Play Store. The Samsung Galaxy Nexus 2 (model number GT-I9260) keeps popping up in various leaks that seem to confirm earlier reports that suggested that we’re going to see in stores up to five new Nexus handsets and tablets by the end of the year. Some of those reports have even mentioned some of these upcoming devices by name the Galaxy Nexus 2, the LG Optimus Nexus and the Sony Xperia Nexus not to mention that HTC is also rumored to be working on a 5-inch Nexus phablet of its own. Today, a report from MovilZona reveals more details about the upcoming LG Nexus device, as received from a “person connected with Vodafone,” if the Google Translate version of the Spanish article is to be believed. The publication seems to indicate that LG is going to be next in line to produce a Nexus device, despite what current rumors say about this year’s Nexus-branded smartphones. LG has recently unveiled a new flagship device, the LG Optimus G, a handset that does pack a 4.7-inch WXGA True HD IPS Plus display with 1280 x 768 resolution. Android and Me wondered a week ago whether the Optimus G will hit U.S. stores as the next Nexus, a question we’re also going to take seriously considering today’s leak. However, in case these rumors are true, then we’d expect the LG Nexus handset to be a standalone device, even if similar to the Optimus G. That means that the Optimus G and LG (Optimus) Nexus should be two different hendsets in non-U.S. markets as well. After all, Google will probably not let LG sell the same smartphone as the Optimus G in international markets while including it in the Nexus family only in the U.S.
We are expecting a Google Nexus press event later this year. Download BlackBerry App World 4.0 from the Beta Zone. To make things easier on consumers, Roku has partnered with several television brands including Hitachi and Insignia that will be specifying certain models as "Roku Ready" to ensure compatibility with the Streaming Stick. As previously reported, some of the televisions with even be bundled with the Stick for the full Roku experience right out of the box. Those that purchase the device separately, however, will receive a special remote with motion sensitivity for use with games on Roku's platform. In conjunction with the announcement, Roku is also adding Vudu to its line-up of channels as well as updating both its Android and iOS apps. The updated apps are now able to stream photos and music to compatible Roku devices, expanding upon the remote control functionality they currently provide. If you're a Roku owner and would like to try the new capabilities for yourself, the updated apps are available now. Apple released iOS 6 today and the update is now starting to hit the iPhone, iPad, and iPod touch. Be patient as not everyone is seeing the update, and if you are getting the update, it may take time to download and install. 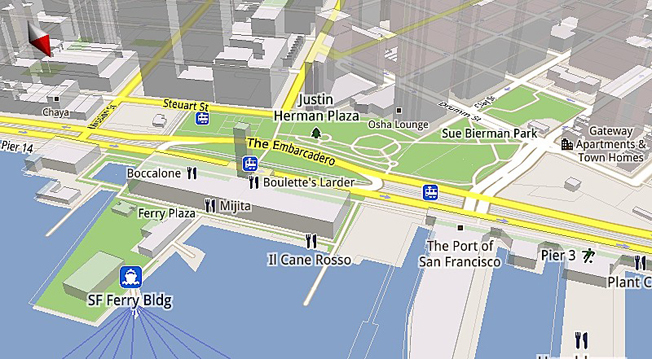 iOS 6 brings a new Maps app, Facebook integration, shared photo streams, Siri improvements and more. You can download the update over the air by going to Settings > General > Software Update. If you have iTunes and a cable, you can also connect your iOS device to your computer and download the update manually. HTC unveiled two Windows Phone 8 devices, the flagship HTC 8X and mid-range HTC 8S, both of which will make their way to carriers around the world this November. 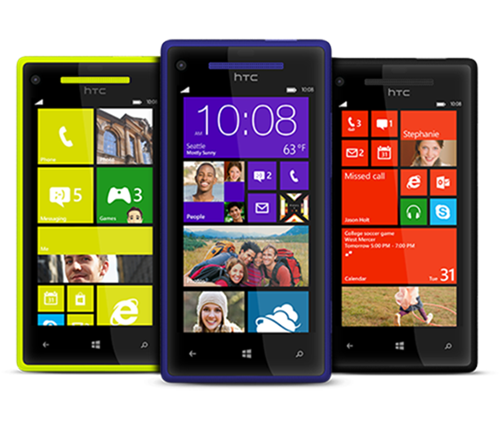 The HTC 8X is the flagship phone in HTC”s Windows Phone 8 line. The 8X will be available this November and T-Mobile USA, AT&T, and Verizon Wireless have all announced the intent to carry the device on launch. The 8X will come in four distinct color options that could set it apart from the competition. The 8X will come in California Blue, Graphite Black, Flame Red and Limelight Yellow, though which carriers will carry which color schemes has yet to be announced. The HTC 8S is the phone geared towards the budget-friendly consumers out there, and comes in just as many color choices. The 8S will be available in two-toned Domino, Fiesta Red, Atlantic Blue and High-Rise Gray, though again no carrier color choices have been announced. There’s a lot to like about both the HTC 8X and 8S devices, HTC’s answer to Nokia and the Lumia 920 and 820 smartphones. Tungle began in 2006 to make finding times to meet with colleagues, clients and contacts as quick and easy as possible. In April of 2011, we were acquired by Research in Motion (RIM) with the goal of bringing the Tungle vision to millions of BlackBerry customers. After our acquisition we quickly went to work and built the BlackBerry Playbook Calendar app. Now, our team is creating the native Calendar app for the next generation platform, BlackBerry 10, and together with other key RIM employees, we are driving innovation in Messaging (email), Contacts, Notes and Memos apps. All of our new responsibilities within RIM are very exciting; however, it hasn’t left much time for innovation on the core Tungle product over the past year, as we’re sure you have noticed. To make the most of our new focus, we have sadly decided it is time to shut down the standalone Tungle service. As of Monday, December 3rd, 2012 we will shut down the standalone Tungle service. You will continue to be able to use your Tungle.me page until then to schedule meetings and share calendars. We know our dedicated members rely on Tungle every day to manage their calendars and we don’t want to leave you out to dry, so we suggest you check out Doodle to replace Tungle in December. We appreciate all the support you have given us over the years and hope our efforts on BlackBerry 10 will bring the same dedication and excitement. Yahoo CEO Marissa Mayer is instituting a new company policy called Yahoo! Smart Phones, Smart Fun!” according to an internal memo obtained by Business Insider. 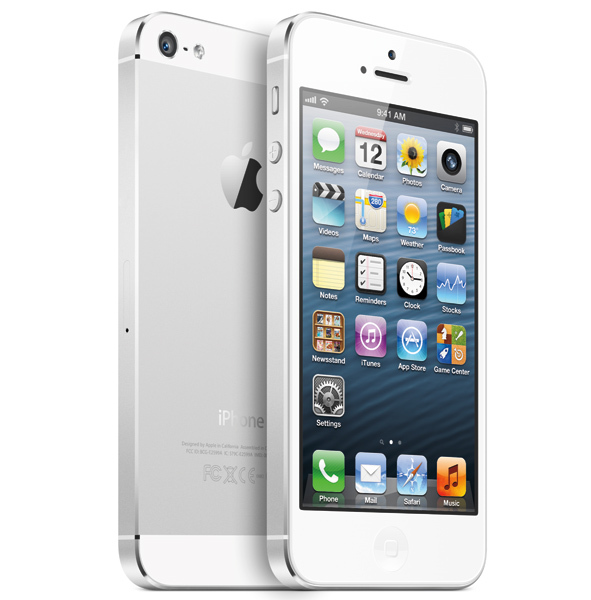 Under the new policy, full and part time U.S. employees of Yahoo will be receiving their choice of the iPhone 5, Galaxy S III, HTC One X, EVO 4G LTE or Nokia Lumia 920. In addition to buying the devices, Yahoo will also be covering the monthly plans for data and voice. The possible casualty in this fight is that this means Yahoo is moving away from the company supplied BlackBerry devices, and they are not offered amongst the choices. As Mayer states in the memo, “we’d like our employees to have devices similar to our users, so we can think and work as the majority of our users do.” RIM can’t be too happy about such a statement, but considering the declining market share of the BlackBerry line, it makes sense. No word as to when the new phones will be arriving in employee hands, but seeing as some of the devices have not yet been released, it would appear it will be a staged rollout. Moving forward, we’ll offer you a choice of devices as well as provide monthly plans for the data and phone. We’re getting started right away and taking orders starting now. Andy Rubin has added another response to Alibaba's Aliyun OS, after Google's insistence that Acer put the launch of its new smartphone on pause. He focuses on the Open Handset Alliance (OHA), which OEMs agree to when they work with the platform, promising to keep Android a happy (and relatively compatible) platform. Amazon dodges any similar issues with its Kindle Fire tablets, because it didn't sign up to the same alliance. Rubin says that because Aliyun uses Android's framework and tools as well as housing some suspect Android apps (and pirated Google programs) within its own App Store the mobile OS "takes advantage of all the hard work that's gone into that platform by the OHA." Google's looking to protect how Android behaves as a whole, and the senior VP suggests that if Alibaba's new OS wanted "to benefit from the Android ecosystem" then they could make the move across to full compatibility. We're still waiting to hear what Acer (and Alibaba) plan to do next. The colors are still more or less the same, but eBay's iconic logo has undergone a significant overhaul today. Gone is the disorderly letter arrangement, an artifact of late 90s exuberance about the web (which you might still observe in Yahoo! 's brand identity), replaced by a much more staight-laced and rigid arrangement. Though no longer overlapping, the letters are still touching, which is intended as a subtle representation of eBay's "connected and diverse" community. Company President Devin Wenig has written an introduction to eBay's new logo, extolling the evolutionary changes the company has undergone in the decade and a half since its previous brand identity had been introduced, and presenting the new design as striking the balance between eBay's proud history and aspirations for a "cleaner, more contemporary and consistent experience." The new logo will be rolled out across eBay's web properties from October. The iPhone emerges into the light. This year is no exception. The iPhone 5 has arrived and we’ve decided to put together a quick, easy to read list of all the new features, design aspects, and other details. 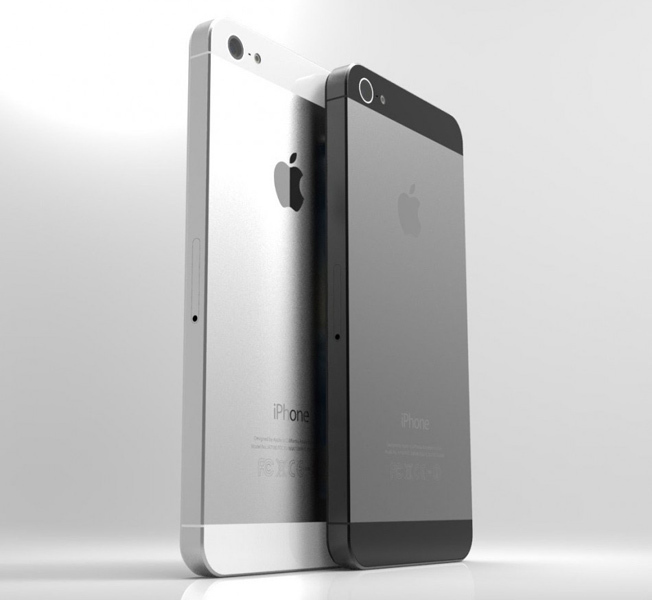 4″ 1136×360 resolution retina display. 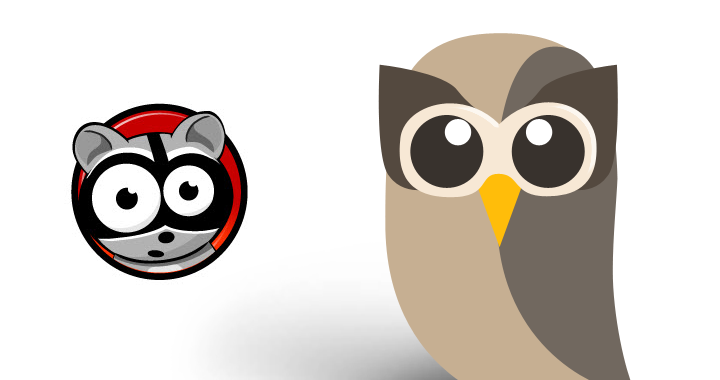 – Width is the same, just taller so different aspect ratio. Looks like they essentially added a row of app icons beneath the existing four. Will come in White front or Black front, back will always be the metallic color. Third party apps will run letter boxed until their developers update them (so a black bar on either side). Passbook for keeping track of rewards cards, booking tickets. Siri knows movies, sports scores, and restaurants. She can post your updates to Facebook and Twitter. Sprint, AT&T, and Verizon here in the US. All carriers in the US will support LTE. Pre-orders start on Friday the 14th of September, shipping begins the 21st of September. Google Chrome for Android has been updated over Google Play, the first such update since Google's mobile browser exited beta at Google I/O back in June. There are no major feature additions in the new version 18.0.1025308, but there is a selection of fixes for "medium"-rated security issues, as well as stability fixes. The new Chrome also seems a tad speedier on image-heavy sites like Android Central -- let us know in the comments if you're noticing the same effect. 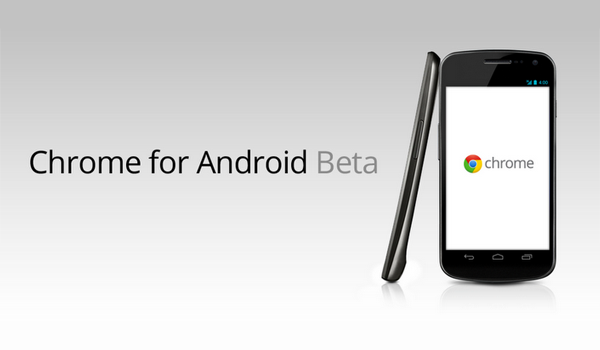 If you're already running Chrome, head to the "My Apps" menu in the Google Play Store to grab the new update. If you're not, you can use the Google Play link above to jump straight to the latest version. Note that you still need to be on Android 4.0 Ice Cream Sandwich or 4.1 Jelly Bean to install Chrome. The FCC has passed certification for what appears to be the One X+. The documents show full support for AT&T's LTE network, so that at least gives us a direction to look in. Here are the rumored specs we've heard so far. The Internet has been in a tizzy since we heard that Amazon would not be allowing the removal of the "special offers" package from the new Kindle Fire and Kindle Fire HD units. If you weren't aware how all this works, previous Kindle readers were available at a little bit lower price, but included ads to help support them. For a small fee, you could have these removed. We first heard that Amazon would be including this on all the new Kindle Fire devices, and apparently that they would not be offering an ad-free experience. Ars Technica has received word from Amazon that they will be allowing users to go ad-free for a one-time payment of $15.00 This hasn't yet been updated on the Amazon special offers website, but we're inclined to believe the fine folks at Ars Technica. Short version -- if you were worried about having non-removable ads on your new Kindle Fire or Kindle Fire HD, there's nothing to fear. They can be removed if you pay Amazon a $15 fee. 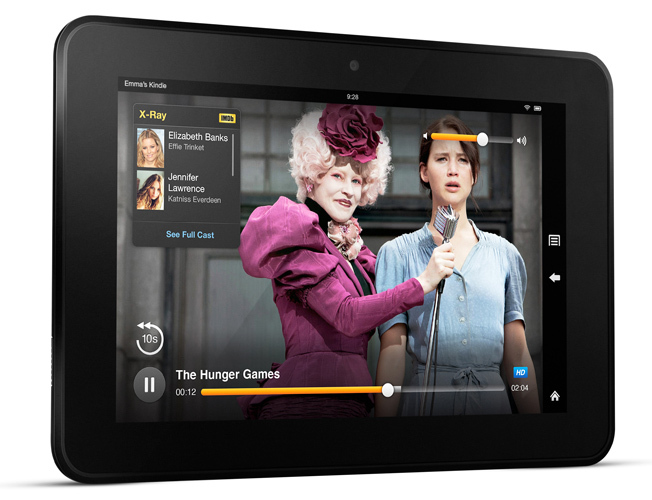 Amazon announced its first tablet with 4G LTE connectivity, the Kindle Fire HD 4G LTE. The 8.9-inch tablet will be offered for $499 and includes 250MB of data per month, 20GB of cloud storage and a $10 Amazon credit for just $49.99 a year. Amazon’s latest tablet will operate on AT&T’s 4G LTE network and includes an upgraded 32GB of internal storage. The Kindle Fire HD with 4G LTE will be available for preorder today and begin shipping on November 20th. Amazon also announced a new front-lit Kindle Paperwhite eReader and three other Kindle Fire tablets during its press conference on Thursday.